Recently I was having a conversation with one of my friends and she said that having a testimony of the Book of Mormon was essential in order to stay in the LDS church. However, there are other denomonations that believe and support the Book of Mormon. The RLDS (now Community of Christ) church and the Church of Jesus Christ (nicknamed Bickertonites) are two denomonations that believe in the Book of Mormon as well. I’m not the best historian so maybe someone can help me here. From what I understand, Sydney Rigdon started the Bickertonites and Joseph Smith’s son (Joseph Smith III) started the RLDS church after Joseph Smith died. Brigham Young and the other apostles were with the main body of the LDS people. Interestingly, all three groups seem to have claimed authority given to them from Joseph Smith. Is having a testimony Joseph Smith and the Book of Mormon enough to stay strong in the LDS church? If not, what is necessary to have a testimony of the Church of Jesus Christ of Latter-day Saints? What happened historically and who exactly did Joseph Smith give the keys of priesthood authority to? It appears organizationally the three are similar with apostles, prophets, etc. and they all study the same books. What are the differences between the three organizations? I have my own personal opinions from briefly reading the history of both organizations, but I’d love to hear what others with more historical knowledge have to say. These are 3 of the best known denominations that believe in the Book of Mormon. I’ve been trying to compile my own list, and if you include Strangites, Brewsterites, FLDS, and many others, I’ve come up with 40 (many are defunct) organizations that believe in the Book of Mormon. (Of course that comes from Wikipedia, but it seems to be fairly reliable.) I have a spreadsheet of some of them and I’m researching the different break-off organizations. Of course, we know that there are more than one polygamous groups who believe in the Book of Mormon, in addition to the FLDS group. Incidentally, I found a baptist who believes in the Book of Mormon here, so maybe it is becoming more mainstream after all…. I forgot to mention that James Strang is purported to have a letter from Joseph Smith making him the new prophet. His followers are in Voree, Wisconsin. Interestingly, he translated some new scriptures on gold plates, and was murdered as well. It dates back to the days of Joseph Smith. According to Wikipedia, it is called “Church of Jesus Christ of Latter Day Saints (Strangite)” and more info is at http://www.strangite.org. (They have their own version of the D&C). As for what happened historically, it depends on who you believe. RLDS believes Joseph III, Bickerton believes Rigdon, LDS believes Brigham (sometimes referred to Brighamites, especially by Emma). This is where “sustaining the leaders” becomes incredibly important. Joseph left no clear succession strategy, and there were many claiming revelations (just look in the D&C for examples.) Obviously the Brighamites were the largest of the day, and have grown exponentially larger than the other groups. I’m a faithful LDS member, but I have to say that Sidney Rigdon, as Joseph’s 1st counselor and Vice Presidential running mate certainly had a significant claim, as did Joseph III for the RLDS church. However, our church follows the Pres of the 12 apostles, which also seems to be pretty valid. Having a testimony of Joseph Smith and the Book of Mormon is only part of what is necessary to be a member in good standing in the LDS Church. I think the baptismal interview and temple recommend interview gives good insight into what things we must have a testimony of to be in good standing which includes believing in the authority of the current prophet and apostles, the word of wisdom, being honest with our fellow man, being chaste, etc. If you are going to “stay strong” in the faith, you must have a temple recommend and therefore will have attested to your faith in the questions in the interview. Joseph Smith gave the keys of the priesthood to the Quorum of the Twelve Apostles, and since Brigham Young was the senior apostle, the authority rested on him to reorganize the First Presidency and continue the true vine of apostolic succession. Counselors don’t have claim to that authority and neither do children. I don’t think it was obvious, and that is why there are break-off organizations. Besides, why did Brigham wait 3 years to become president, where now we wait only until the funeral is over? I realize that your response is the typical “orthodox” response for LDS, but it would not be considered orthodox in RLDS, Strangite, or Bickerton congregations. It sure seems like patriarchal succession is the norm in the Bible and the Book of Mormon, and according to RLDS, Joseph prophecied that his son would become prophet some day. A few clarifications. Strang’s letter from Joseph Smith has been uniformly assessed by experts as a forgery. Strang declared himself king of Beaver Island (and possibly a lot more), instituted polygamy, and was murdered by two of his own followers. Joseph III did not found the Reorganized Church of Jesus Christ of Latter Day Saints. It was begun by Jason Briggs and Zenas Gurley, followers of Strang who became disillusioned when he began polygamy. Joseph III at first wanted nothing to do with Mormonism but later changed his mind and agreed to preside over the Reorganization on April 6, 1860. Contrary to popular LDS belief, his mother, Emma, did not encourage this. Rather, she raised her sons as good Christians but didn’t really teach them much about their father’s religion. An interesting group that split off from the Reorganization is the Remnant Church of Jesus Christ of Latter Day Saints, presided over by Fred Larsen, a direct descendant of Joseph Smith through his mother, Lois Smith. Although Joseph Smith left no clear instructions on how succession should occur after his death (indeed, he gave conflicting signals), aside from a personal testimony, the best method of ascertaining which group is the authentic article is simply to look at the fruit borne by the various branches of Mormonism. Strangism pretty much died out after Strang’s murder, although perhaps 100 Strangites persist. Rigdon’s group has amounted to nothing. The Reorganization held together for a hundred years or so, although it never accepted any of Joseph’s teachings after Kirtland. In its current form, however, as the Community of Christ, it is little more than another Protestant sect. It is distancing itself from Joseph Smith and his teachings and regards the Book of Mormon as fiction. The Restoration Branches that broke away from the Reorganization during the 1980s are in disarray, believing that their prophet and twelve apostles all apostatized. The polygamous fundamentalist groups are like a child plunking away on one key of the piano. The only group that still follows most of Joseph’s teachings and is thriving in the world is The Church of Jesus Christ of Latter-day Saints (the Utah church). Sure, it has adapted and evolved over the years, and it certainly isn’t perfect, but it is obviously the one branch of the original tree that has any root to nourish it. Brigham Young never claimed to be Joseph Smith’s successor. He never called himself the prophet, just the president of the Church. 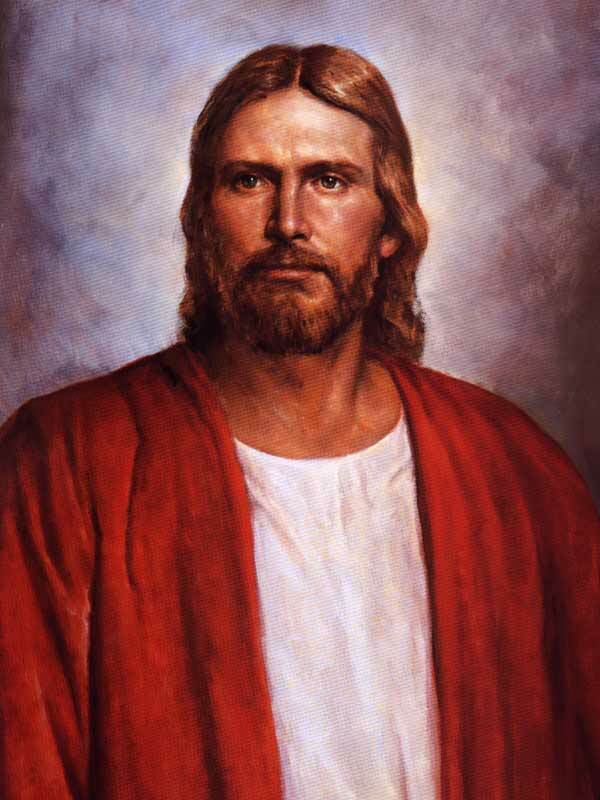 In fact, he held open the possibility that Joseph’s sons would come and take their rightful place in the leadership of the Church when they came of age, but that didn’t happen, so the LDS Church is led by an apostolic presidency (the senior apostle leads the Church). In a technical sense, they are not Joseph’s successors, but they have the appropriate authority, as the Savior’s Apostles did after his Crucifixion, to direct his work on earth. No other group can make this claim. T. Arkay–well written comment. Thanks for the clarifications and historical updates, but I thought Strangites were larger than just 100 members. I really have no way of knowing either way. Is there a census of mormon break-off organizations? I’ve always been very curious to know how big some of these organizations are. I always have to take issue with the standard “By their fruits ye shall know them” claim. This seems like arguing that Coke is better than Pepsi because it is bigger, or that McDonalds beats Burger King. I’d rather stick to either personal testimony or well-reasoned argument as a way to determine whether a church has proper secession plans. Size doesn’t indicate truth. And perhaps Brigham called himself President, not Prophet, but we all call him prophet. Yes no other group can make the claim of apostolic succession, but if a man claims to have received a revelation from God, just as Joseph Smith did, wouldn’t that trump any of apostolic succession claims? It is my understanding that Joseph III had some sort of a revelation putting him in charge. Yes, Emma didn’t push him, and perhaps it could be argued that Jason Briggs and Zenas Gurley did push Joseph 3 to have the revelation. If you believed that God ordained you to be prophet, it wouldn’t matter what Brigham Young, or Sidney Rigdon, or James Strang thought, would it? It is critical that one have a testimony of God, both Heavenly Father and Jesus Christ and and understanding that they have never, nor will they ever, stop communicating with man. If one comes to understand that truth, then next comes the necessity of a testimony of the Book of Mormon and Joseph Smith. If the Book of Mormon is true then Joseph Smith was a prophet of God. If Joseph Smith was a prophet of God, then the Book of Mormon is true. Within the writings of Joseph Smith and the Book of Mormon, as a second witness of Jesus Christ, readers will find a craving and desire for order. Yes, Joseph believed that his son would be the next prophet, but the prophet did not live to raise his sons and daughters in the gospel. His brother, William (who was a troublemaker off and on during Joseph’s life) was the one who began the RLDS, now known as the Church of Christ. He and others, ran the church until Joseph III was old enough to take over. He has groomed and brainwashed to believe he should be the next prophet and that Brigham Young and the saints who followed him west were the heretics and estranged from the true gospel of Jesus Christ. When ego replaces humility, when lies replace truth, when arrogance replaces the deep burning desire to know the truth you have stepped into Satan’s domain. Upon Brigham Young’s return to Nauvoo, after the assassination of Joseph and Hyrum Smith, saints gathered by the thousands to hear the president of the Quorum of Twelve Apostles speak. At that time, many testified that Joseph’s image superimposed itself over Brigham’s and the Holy Ghost bore witness that the Church was to follow Brigham and the Apostles, not those leaving in a huff because they felt they should run the Church. The Church of Jesus Christ of Latter-day Saints has ALWAYS followed an orderly and inspired path of succession. It is a thing of beauty that has no comparison to the process of choosing a pope, or other sects killing each other’s leaders off in order to gain control, or firing a preacher and hiring another because you don’t like what they say. It behooves each and every Latter-day Saint that they stand and bear witness of truth and that truth is that a testimony is built layer upon layer, line upon line and precept upon precept. God lives. Joseph was a prophet and those keys were handed down to each succeeding prophet. The Book of Mormon contains the prophesied writings mentioned in the Old Testament and testifies of Jesus Christ, from the first page to the last. People can run about to and fro, shouting truths interspersed with lies, shouting outright falsehoods, literally screaming at the top of their long trying to deter Latter-day Saints from our path. But the way of the Holy Ghost, the testator of truth, is a quiet whisper deep within the battered and torn confines of the heart. If allowed by the petitioner, the light of Christ will touch each and every corner and hearts can be changed, minds can be cleared and hope can enter the soul. That’s what the gospel is all about . . . not the screaming, raging lies of the antis. Wow, Candice. Wow. There was absolutely no arrogance in your post whatsoever. I’m so happy to know, now, that “the gospel” is so black and white. It feels good. I think my bosom is burning. Maybe it’s the salsa I had with my eggs this morning, but I’m gonna go with the spirit in this case. Are you calling RLDS a bunch of hate-mongering anti-mormon liars? My experience tells me that RLDS are thoughtful, and for you to spew insults is, well insulting. I think you can get your point across without all the invective. If someone here were to imply that you do not pray, I think you would probably find that insulting as well. To assume evil intentions (ie they were offended) on their part does not exhibit the charity that Moroni speaks of in the BOM. Let’s talk about the people who were offended for a minute. And let’s say, for arguments sake, that Thomas Monson was suddenly found cavorting with women who were not his wife, and then he came out later saying he had received a secret revelation about polygamy. Shouldn’t the revelation be made public, before all the rumors of his philandering were known? Wouldn’t it seem reasonable to assume the post-polygamy revelation was “covering his tracks”? I think that some of Joseph’s secrecy regarding this secret revelation was the cause of some early saints to become disillusioned. I’m sure you’ll say that Joseph was doing God’s will, and you are probably correct. But I am saying that I can understand (though not necessarily agree) with some of the early saints misgivings about polygamy. After all, Brigham said he would rather die than live “this awful thing” of polygamy. Are you saying Brigham didn’t pray enough? I just think there is much more room for understanding people who may pray but come to different conclusions. T. Arkay, I was wondering what source you had for the Strang forgery. I was not aware that it has been ruled a forgery. Where did you learn this? I tend to agree with Mormon Heretic. Although I think it is good to be passionate about one’s religion, it is also very good to not become over-zealous, which some of your comments appear to be. Perhaps you can clarify some of the statements for us. “…RLDS a bunch of hate-mongering anti-mormon liars..” As a member of the Community of Christ (formerly known as RLDS) I don’t consider myself a liar..nor a hate mongerer. 🙂 (you can call me a “pinko liberal” if you’d like..I’m ok with that!) I won’t go into explaining the differences of understanding of history that I am aware of in Candice’s post. I am aware from church history classes that I have taken that after the murders of Joseph and Hyrum Smith that the line of succession wasn’t 100% clear. I’m not aware of any document that exists where Joseph Smith Jr laid out in black and white who should succeed him. I do think though he created options. Example..he set aside his oldest son, well in case JS Jr died before his son came to be an adult..someone had to “be in charge” til he came of age. Those are just my understandings of the history. I do know that JS III waited til he had his own testimony of his calling. For some reason going to Utah wasn’t where he felt led to go. There’s an excellent book called “Joseph Smith III: Pragmatic Prophet” by Roger Launius for those that would like to learn more about the eldest son of the first prophet of the Restoration. I appreciate you stopping by and am intrigued by the Community of Christ…what are your thoughts on the Church(from what I understand…perhaps you can clarify) changing it’s views on the Book of Mormon and also key doctrines such as the Trinity? Mormon Heretic asked the question of T. Arkay, I was wondering what source you had for the Strang forgery. I was not aware that it has been ruled a forgery. Where did you learn this? Believer–thanks for the reference! I was able to read those pages via google. Our Church does believe that Sidney Rigdon would have been next in line to lead the church since he was first counselor. However, it did not seem that Joseph Smith left precise direction, hence the rise of the different denominations. We claim our priesthood authority through Rigdon, who passed it on to William Bickerton, who kept our particular faith going after Rigdon fell away. The Church of Jesus Christ was then reorganized in 1862 in Pennsylvania. The main difference between the three organizations is this: The Church of Jesus Christ can be viewed as the 1830 church, ie, the way the gosepl was originally restored to Joseph Smith and the church organized by him and Oliver Cowdery at the time the Book of Mormon came forth to the world. The only scriptures we follow are the Bible and the Book of Mormon and all the precepts contained within those books (no Doctrine & Covenants, etc.). The main reason we remained separate from other Latter-Day denominations had to do with other doctrines being introduced at that time that were not found in the scriptures, most notably polygamy. Today, our faith & doctrine and other beliefs are still built on what can be found in the scriptures. We’re a small church, but seeing much growth in Africa and other Third World regions. God bless. Maybe this will help some people out. “By their fruits ye shall know them.” All in all there has been a degree of hatred for opposing opinions of Heretic. It sadens me that such beautiful truths can be discussed in such a distressful way. Reading the Book of Mormon last night I felt peace. I know it is true and I know Joseph Smith is and was a prophet of God. Patti 221. All I have to say is that when I read your blog I di a cheer inside my head! Thanks! I would be curious to know as well how you felt about this? ps the you tube video. Good stuff. But her research is biased, and is full of conjecture. Sorry but its true. I just finished reading a biography about Sidney Rigdon, and I thought you might want to check it out. In my 5th post about Sidney Rigdon, I referenced a BYU studies article about the succession crisis. (Eight people claimed that Joseph told them to lead the church.) Also, I have some interesting info on the Bickertonites, if anyone is interested. I have read a few of your posts on Rigdon. I didn’t comment on any of therm, but It would be interesting to learn more about the Bickertonites. Where can you find the info? Their general conference is scheduled for April 17-19 in Greensburg, PA. It would be interesting to get a transcript or podcast–they still do the old 3 day conferences like the early LDS church did. So after you’ve done an extensive study on Rigdon and the Church of Jesus Christ, what do you think? I really feel like Sidney’s life almost seems to represent a Greek Tragedy. It is obvious that he had a yearning for God in his life, and embarked on a ministry in the Baptist Church. When he was exposed to Mormonism, he found many of his beliefs were shared in this new religion. Apparently, he was an amazing preacher, as both his Baptist and Mormon congregations attest. He rose like a comet in the church, entering the First Presidency. When Joseph died, he felt like he was supposed to lead the church. Yet his own son later wrote that Sidney was a terrible leader, and needed someone like Smith to guide him. I feel really bad for the disputes he had with Brigham Young, leading to his excommunication. Sidney did the best he could to lead a branch of Mormonism, but he really was an erratic leader. His last days were days of loneliness. Even though Brigham tried to reconcile, Sidney was just too bitter. Deteriorating health left him alone. Did you find none of the good that I found in the response Candace gave? I would like her to know that you are admiring friends with some suggestions for making her points stronger rather than to think of you as enemies. I know the entry by Candice is old but I still have a question: Do you all think conviction = hate + arrogance? I could agree with you if you had told her she showed more conviction than visible sensitivity to the feelings of those who don’t get revelations right. I might, if you had explained that bringing up her visible sensitivity level to match the level of her convictions would be better received by some readers – readers for whom the good influence of her convictions should be retained. Surely you must know that it is possible to be non-accusing of hate (and to be humble) without knowing the difficulties that people often have in receiving and understanding revelation?! Perhaps the more humble and loving a person naturally is, the less in need of being made weak in receiving answers to her prayers through revelation – and therefor the substantially less likely she is to know of such difficulties. Instead of accusing Candace of being “very arrogant” – an accusation that will surely stop her from being able to hear the constructive part of your comments, especially if your accusation is true – what do you think of another approach? Perhaps sympathizing with her as Jesus did with Saul of Tarsus? – “It is hard for you to be doing what you are doing” – in essence: “It must be hard for you, sharing your convictions just to receive the sarcasm of Zeezrom,” and then explaining that some people read specific things into specific aspects of her comment, then take offense at what they read into it, and then cannot benefit from what good she has to offer – and that a lot of people have a label they put onto what they read into specific parts of her comments: arrogance – whether she is actually feeling arrogant or not. This kind of tactic might redeem her from a pit when calling her names won’t. Keep responding to the likes of Candice and I but do it with the same sensitivity that you want us to learn. How else can we feel good enough about your messages to think them through rather than scratch our heads in utter disbelief?! How else can we learn but by proper example in the very lessons that are meant to correct us? Thank you very much for considering my remark. Your points are well taken. We all could communicate better. The Bible and Book of Mormon, while of immense value to us all, for they show us the actions and mistakes of other men, who obeyed and followed God and Jesus Christ. But Even if we didn’t have the Bible or Book of Mormon, we, ( all men ) have the Holy Spirit upon which to rely. For men to stay strong in any walk of life or belief, we must hear the Holy Spirit! We must hear and do as the Holy Spirit guides us to do. Not only to say, but do the Fathers will as Christ did. If you have an active relationship with the Holy Spirit=’s Jesus Christ =’s God, then you can throw the Book of Mormon, Bible and D&C out the window! Now I’m not advising anyone to do this! Tossing out Wisdom is stupid! But if a person possessing the Bible and Book of Mormon does not follow the HOly Spirit, he will be under condemnation of heaven. To know the Holy Spirit is to have unmeasureable strenth of belief. You have hope that cannot be crushed, strength without ending, to hope all things and to bear all things which will come upon us all as people. Without the Holy Spirit in our lives, We are nothing! It does not matter how many books of revelation we posses! James, how come you haven’t approved my comments on your blog? So sorry! I’ve not had a chance to check my blog yet! I’m typing with my baby girl in my arms, my wife and I are due to have another baby soon. I’ve 172 acres of land to take care of and a full time job I work and this evening I’ve about 31/2 acres of grass to mow! No kidding! So if I seem slow to get to my blog, it’s because I’m snowed under! I’ll check your comments out! I say “Everybody” because numerous people have posted in this thread. First, a summary of the 4 discoveries; and then, a list of the 4 discoveries. A series of 4 discoveries, which began in ’92, eventually led to a discovery in ’07 about the Book of Mormon. The 1st discovery was that the New Testament mentioned that alterations had been made to it, and the alterations had not been removed. The 2nd discovery, which was made in ’93, was that a method for removing the alterations had been provided. The 3rd discovery, also in ’93, was that the method could and should be used to remove the alterations from the Old Testament as well, because it had also been altered. The 4th discovery, which was made in ’07, was that the method could and should be used to remove the alterations from the Book of Mormon as well, because it had also been altered. These (and other discoveries) are documented at http://www.thisgoodriddle.com so the documentation will not be repeated here. Instead, a summary of the resulting situation will be mentioned here. One way to summarize the present situation would be to say that the ultimate originator of this virtual reality hid a message for us in parts of three containers. The message cannot be seen except by putting the parts together. The containers are the Old Testament, the New Testament and the Book of Mormon. Not the D&C, and not Pearls either. Only the Book of Mormon is one of the three containers. Questions and comments, about these discoveries and their implications for your organization in particular, are welcome. to mormon heretic: it’ s not about you, it’s about truth…. ephphtha, are you the arbiter of truth? « What Books do You Recommend?